Clovercreek Labradors is a small hobby kennel located in Western Washington. Our interest in Labradors started in 1994 with the purchase of our first Lab, Westdale Winchester "Chester". From there our love of this breed blossomed. All of the dogs used in our breeding program have their appropriate OFA hip, OFA elbow, heart ECHO, EIC, HNPK, PRA and eye clearances. All our puppies are sold on a spay/neuter contract with AKC Limited Registration. We breed on average 1 - 2 litters a year. Our goal is to breed and produce healthy, top-quality, all purpose Labradors that meet AKC Breed Standards, as well as true Labrador temperament and of course awesome family pets and hunting companions. Our puppies are born in our living room and remain there until 3 - 4 weeks of age when they are moved into our puppy room off the house and brought back into the house several times a day. The puppies, we have placed are now showing in the breed ring, competing in the obedience & rally rings, working in the field, training for therapy work and are much loved family companions. On occasion we have adult dogs available to loving homes. First and foremost, our dogs are our four legged children and part of our family. They live in the house as part of our family and sleep on our beds.. We do have kennels, but they are empty most days. We prefer to have our dogs inside with us. So dog hair and dog beds are part of our decor. 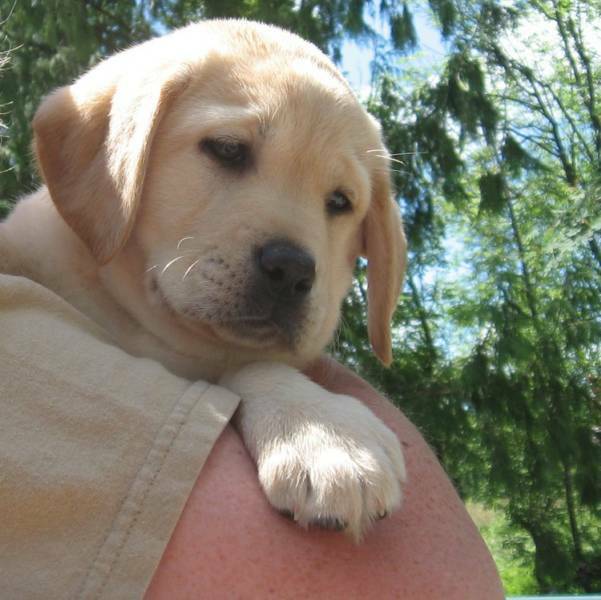 We are active members of the Puget Sound Labrador Retriever Association and Rose City Labrador Retriever Club. Chris & Kimberly are AKC Hunt Test Judge at the Junior & Senior Levels. Hope you enjoy our website! !